The Holst Birthplace Museum is looking for enthusiastic Volunteers to join them this Spring! Whether you are looking to make friends, pursue an interest or just looking for some fun, the museum welcomes volunteers as an essential part of their organisation. There are many ways that volunteers help the museum but don’t worry, no prior knowledge of Gustav Holst or Victorian History is needed, just a friendly face and a can-do attitude! 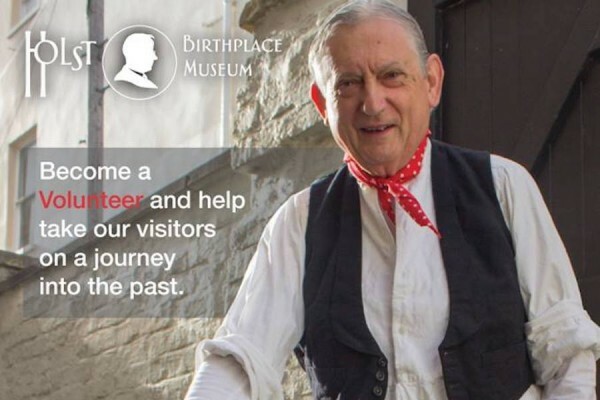 If you would like to become an volunteer for The Holst Birthplace Museum or find out more, please visit their website here.